If thinking about religion freaks you out a bit, don’t worry. That isn’t what this is about. There is no preaching and the bible talk is kept to a minimum. If you are religious, don’t worry. This isn’t what this is about. We promise we aren’t asking you to turn your back on your faith! We also talk a bit about Jay’s recent seminar for men! Super exciting and meaningful stuff. 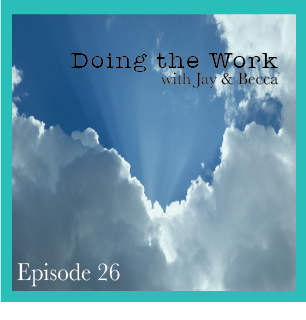 As always, we invite you to join us in our private Facebook group–Doing the Work with Jay and Becca–to keep the conversation going. What does spirituality look like to you? How do you “turn it over”? We want to hear your thoughts.Do YOU have a topic you would like to have us discuss? Are you willing to come on and be coached around an area of your life? Do you have someone you would like us to interview? 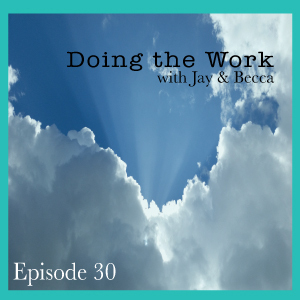 Shoot us a message via our website leave a comment on the Facebook post currently circulating in our private Facebook group, Doing the Work with Jay and Becca. 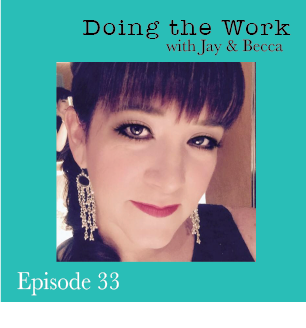 We would love to keep our episodes focused on what our listeners want to hear.